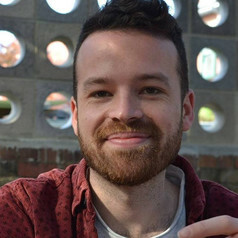 Nicholas Faulkner is a Research Fellow at BehaviourWorks Australia, Monash University. Nicholas completed his Ph.D. at Monash University and his undergraduate studies at Griffith University and Sciences Po (Paris Institute of Political Studies). In 2012, he was AEUIFAI Fellow at the European University Institute, Florence. His research interests lie primarily in the areas of political psychology and behavioural public administration. In recent years, he has investigated several topics, including: how emotions, norms and social identities influence cosmopolitan helping; how the internet can be used to improve or exacerbate intergroup bias and racism; and, how psychological techniques can be used to increase compliance with requests from government agencies. His research has been published in leading social and political science journals, including Political Psychology, Ethnic and Racial Studies, and the International Political Science Review. He also regularly consults and works with government and non-government bodies on how to use behavioural science to promote socially-beneficial behaviours. Nicholas is a member of a range of academic organisations, such as the International Society for Political Psychology and the Society of Australasian Social Psychologists, and serves as a reviewer for several academic journals.